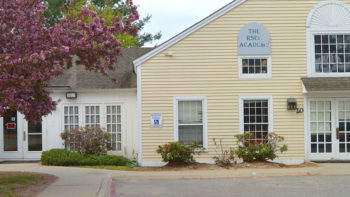 The Vista Learning Center provides small group academic instruction. Additionally, students are involved in small group adventure-based counseling and transitional activities weekly. Students work on improving self-esteem and strengthening social skills including communication, cooperation, problem solving, trust, leadership, and recreation. Regular meetings with parents and others involved in a student’s academic and home life creates opportunities for reaching personal and educational goals by working together. We support parents and students in the ways that help them the most, along with higher staff ratios, creating pathways for everyday experiences to become personalized learning opportunities. By course-correcting negative behavior in real-time, educators at Vista may explore the social and environmental factors at play in context and offer immediate feedback. This helps us build curriculum and support plans that spark a student’s love of learning while nurturing their unique social knowledge skills laying a strong foundation for success. "My son has made a complete turnaround since being at the Academy/Vista. He is more confident in his abilities and his self-esteem has soared."